Table top coffee vending machine, who would need that? By asking that, you must be thinking that similar to usual vending machines, it comes with coin slot and coffee are dispensed upon coin insertion. It is actually not so. This is actually a coffee machine that is able to dispense a variety of beverages. In fact, the table top coffee vending machine has been called cappucino vending machines on numerous occasions, due to the popular drink that it is able to dispense. There are few companies that are doing this model of machines but only Nestle is doing it with much success. Their most popular model is Lioness H5 and their current innovation is ultra 6. So, why would table top coffee vending machine be an easy way to drink coffee? Other than the single serve coffee makers, which are able to dispense coffee with a press of button, most espresso machine and coffee makers, required users to wait for the grind and brew, requiring some time and effort. Table top coffee vending machine can dispense coffee, cappuccino, lattes and even espresso in less than 30 seconds and they can serve up to 50 6-ounces coffee or beverages without any top up. So, if you are looking for convenience, would you not go for this? Sure, it is also known as cappucino vending machines, underlining the fact that one can get cappuccino from vending machines, but please do not hold high expectations. In the process of having wide variety of beverages, and ease of use, something was sacrificed, and that element happens to be quality. Earlier on, I highlighted that table top coffee vending machine has high capacity,is as easy as pressing a button and you are able to choose up to 8 beverages without changing or topping up your machine! For all these values, you have to trade in quality. The coffee and beverages served via these vending machines are granules and they are process with special anti-caking agent to ensure that they do not harden inside, so that you do not have to worry about changing and topping the machine. Although the granules inside the machines would never "lie" there for more than 24 hours (the thirsty folks in your office would ensure that), they are "make" to last more than 60 hours. Try imagining the taste as slightly better than your Nescafe Gold Blend bottles that you can get in supermarket, but the variety can really excites the most picky taste bud. These cappucino vending machines as they are also known, are able to dispense: cappuccino, long black, latte, espresso, mocha, cocoa, tea and milk tea. A variety that even the most sophisticated espresso machine would find it hard to match. There you have it, easy to use, huge capacity and wide variety of beverages to choose from. The table top coffee vending machine would saves you the trouble of brewing,choosing (so many to choose from) and even cleaning. Now, that is an easy way to drink coffee, don't you think so? 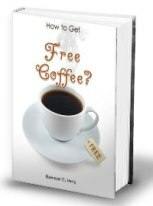 Learn abt espresso, coffee and how to get it free!